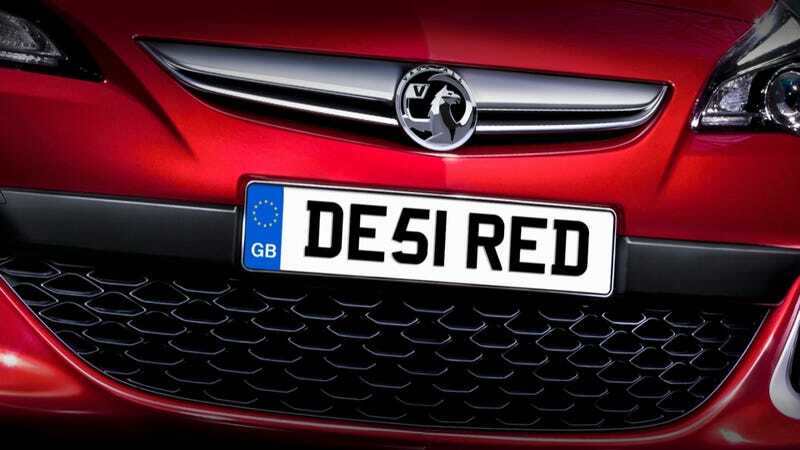 We took a quick glance again at the license plate on the Vauxhall Astra VXR we unveiled to you in today's Morning Shift and did a double take. Ignoring, for a moment, the 280 HP and 290 lb-ft of torque, this may actually be our new favorite thing about GM's upcoming hot hatch. If that was a cheeky little joke on the part of Vauxhall marketing, it's a total win. But, if that's supposed to be a subliminal message, well, then in that case, I think it leaves a little something to be... well, you know. By the way, the Opel Astra OPC — Vauxhall's rest-of-Europe kissing cousin with a different set of lips — has a license plate that just says — well, what the hell does GGLS190 mean anyway? It means that ze Germans just aren't funny.